Growing up, our living room was punctuated with a variety of festive Christmas cards conveying sentiments and good wishes during the holiday season. I loved looking at the whimsical images that sparkled and glowed; they added a special feeling to the holiday atmosphere. Today, it’s rare to get a card in the mail. Last year I sent out dozens of cards and I didn’t even get one in return. I kinda have an emotional attached to Christmas cards, it’s always been part of my holiday tradition. My eyes pool with sadness as I realize it’s becoming a dying tradition. Born in 1843, the very first Christmas cards were commissioned by Sir Henry Cole and illustrated by John Callcott Horsley in London. The central picture showed three generations of a family raising a toast to the card’s recipient: on either side were scenes of charity, with food and clothing being given to the poor. Interestingly enough, early Christmas cards rarely showed winter or religious themes but instead favored more whimsical image like flowers, fairies and other fairy tale designs that featured the welcoming of spring. Also popular were humorous and sentimental images of children and animals. Christmas cards became very popular around 1860 and more elaborate designs were created. Nativity scenes, Charles Dickens images, Victorian scenes and snow scenes were popular and sales skyrocketed. 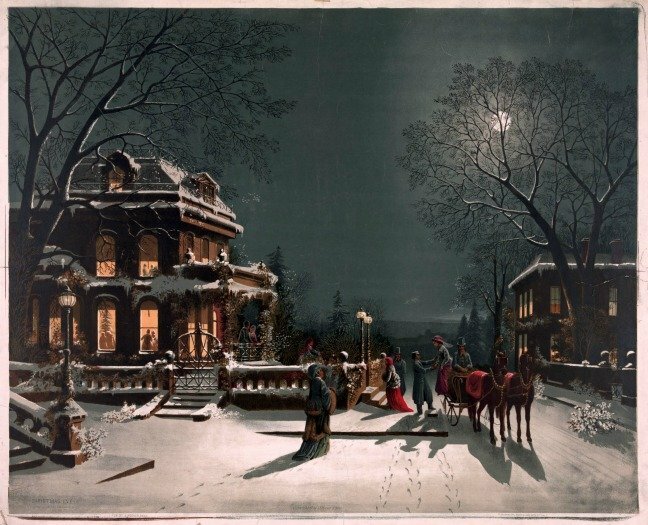 Even though Christmas cards appeared in the U.S by 1840, many could not afford them. 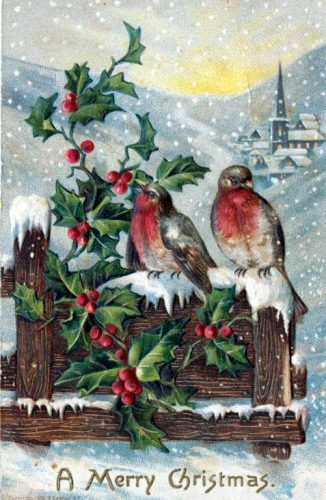 At Christmas 1873, the firm Prang and Mayer began creating greeting cards for the British market and then began selling the cards in America in 1874. Using the chromolithography process of printmaking, they were producing over five million cards a year by 1880, but they were costly. However, less expensive Christmas cards were produced by other companies so they were affordable to the public, and Prang went out of business. In the 1910s and 1920s, homemade Christmas cards became popular. They featured treasures from home, like ribbon, button, foil, lace and were often unusual shaped. These were usually too delicate to send through the post and were given by hand. Today, Christmas cards are mass produced by millions of companies. They feature a variety of images and scenes that reflect the holiday season. But fewer and fewer people are mailing them out. Some quit for eco reasons, but you can buy cards made from recycled paper – or you could make your own. Others share that the cost of postage is too high — you’re looking at about a dollar per card. Others quip that they don’t have the time to write a few lines on a card, toss in a photo and mail it. Really! Many today, send virtual cards or text or a video greeting. But to me, we lose the humanism, the warmth, the love that goes into sharing a Christmas card. There are sites where you can create your own Christmas cards. Upload family photos, choose your format, colors and text and they’ll ship them to you. There are still a plethora of Christmas cards on the market from cheesy to cartoonish to funny to scenic to festive. There’s something for everyone. Sending out Christmas cards is thoughtful. It’s a time when we sit and think about other people and wish them well for the coming year. It’s a chance to sprinkle joy in someone’s life and catch up on their lives and reminisce about old times. Please don’t let the tradition of sending Christmas cards stop! I won’t! Happy Holidays! i love everything about this site. great products and i love reading the post. i even won a contest night before christmas. 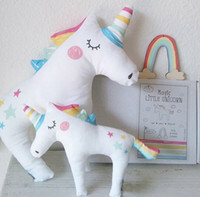 i love it and so does my daughter. thank you so much. keep up the good work!!!!!! To be honest I just don’t have the energy or desire to do Christmas Card anymore. We will send out an email and that is about it. What a tragedy. Although, I believe we will see fewer as the years pass. We sent ours out already and I like receiving ones with family portraits, my kids love to look at those. I’m old school and still like to send and receive cards if it’s family and friends I like to add photos they haven’t seen yet. Now that I found a good bunch of printable coloring cards, you bet I have sent Christmas cards this year! I used glitter gel pens and they looked great! We still send out cards and receive them also. Some I send online but most of them through snail mail. I hope the treadition never ends. I love sending and receiving Christmas cards, and getting any snail mail (other than bills) in the mail! Thank you so much for your posts and have a very Merry Christmas! I used to send out cards all the time, but haven’t for the last few years, even though I’ve meant to. I sent Christmas card every year but to less people then I use too. I still send out dozens every year but rarely receive more than 10 myself. It’s sad, but the tradition of mailing out Christmas Cards is slowly fading away. I still send out a few Christmas Cards each year to just a few people, they in-turn do the same. Once a upon time people took time out to sit down and write out their cards. But now a days no one has time for anything. Everything has become emailing and texting. You either follow the times, or be left by the side of the road. This year was the first in many that I actually decided to go back to snail mailing Christmas cards. I actually just sat down today and filled them all out and put them in the envelopes with names.. tomorrow I’ll address them and drop them in the mail. I was very surprised about how much I enjoyed doing them and absolutely will be doing so again next year. I love Christmas cards. Getting them is wonderful but sending them to friends and family is the best. I have been getting less each year. This year I did not even send any out. It’s the price of postage that’s killing off sending Christmas cards. I used to send about 100 to relatives and friends. A lot of those went to Europe and I just couldn’t justify spending all that money, so I only sent cards to those who don’t use the internet. This year I will be sending a few more, including a letter to bring them all up to date on what’s happening. Thanks for the reminder. Should get them to send out soon. There was a time that was so difficult that we stopped sending out cards. Since then I have re-connected with a few special friends. Those and our family, I make cards and send to. I still enjoy making and send Christmas cards each year. I bought six boxes of cards this year. I love hanging up my cards people send me during the holidays and the fact that they have all but dissappeared bothers me immensely. I keep them. I agree with you, and still I do not send cards in the mail. I do appreciate receiving them, though. I know that is hypocritical. My favorite cards are those that are really old fashioned and which remind me of my childhood. I am always amazed when I receive a Christmas card in the mail. I am so appreciative of the time and thought that went into sending it in these days of e-cards (or no cards at all). I love Christmas cards, some of the designs are just so beautiful! I look forward, every Christmas, to receiving a handmade card from my cousin, she’s an amazing artist! Christmas cards are a dying tradition. I think we all should be sending christmas cards all over again. It’s a beautiful memory to all the family, even those awful photos with one of my ugliest sweater. I looked forward to sending out cards every year! The year before, I would buy some really pretty cards on clearance and save them for the next year. I’d also updated any addresses that have changed in my label database. Sending Christmas cards are getting easier, and no ones heart is into it anymore. I know my heart isn’t in it. I think the true meaning of Christmas is gone! It has become commercialized! People have lost the real reason for the season!! I love receiving Christmas cards, Its sad really that such a meaningful tradition is fading away. Last year, in one of my Christmas groups, we swapped addresses and Sid “An old fashioned card swap” it was fun getting and sending cards to and from all over the world! I used to have Christmas cards strung up all around my living room walls from corner to corner.ow sadly I only send out a few and receive a few back too. Its too bad its dying out. Some greeting cards are so beautiful and could be saved for future generations. I’ve been doing card making classes at a friends house, I send my homemade ones. I sent Christmas card every year !!! I totally agree! I think it’s sad that we are starting to not even give Christmas cards to our own family members, let alone friends and neighbours. Great post! The history portion was interesting too! I love sending and receiving them, some find the stamps plus buying the cards expensive and others don’r want the extra work, sad really. Christmas card giving is a beautiful tradition. Unfortunately like most of the lovely, old fashioned Christmas traditions ,like baking a few things and sharing with friends and family,the commercialism of Christmas has changed what Christmas is truly meant to be about.What Christmas means to me is sharing love with my family and friends that are precious to me.Most of my Christmas gifts come from thrift stores.I still write a few cards but most of my family and friends get my annual Christmas letter through an email.Unfortunately I no longer have the time or money to post greeting anymore.I hope everyone out there has a wonderful Christmas surrounded with love and laughter.I would also like to thank and congratulate Pausitive Living on her amazing site and another successful year of sharing her love with us. It is my favorite site.I enjoy the articles and the contests very much. May the joy of the season bring you peace and happiness to you and yours! Thanks for the history of the Christmas Card! I love sending and receiving them. I send out about 400 cards every year (the real ones) to family and friends locally and around the world. I used to love looking at my mother’s Christmas cards when they came. She would save the cards and make gift tags from them the following year. I still send out a few, but the list keeps getting smaller. i used to snail mail all the cards but in recent years sort of fell out of doing it each year..i really should do it this year! I feel like postcards are dying too…both of these physical pieces of paper instill so much enjoy and surprise when I receive one. An electronic copy really can’t compare. I hope to carve out time to finally send out cards to the people who matter in my life. I guess I’m old fashioned but I still send out Christmas cards & receive quite a few of them also. Although I must say they are getting fewer in number. I completely agree that the tradition of sending Christmas cards is a dying one. I think this is terrible. However, I understand why. The cost of cards then postage plus the time it takes to write something personal on each card means that this is a time consuming job. BUT, I BELIEVE IT IS WORTH IT!!! I always look forward to Christmas and giving and receiving gifts. It is a wonderful time of the year. Yes, it is a dying tradition.I remember receiving close to a hundred every year when I set out in life, now I receive maybe 5 or 6 every year. So much love is put into the making of these cards! We still send out Christmas cards and I love receiving them. I especially like the nostalgic ones. I have never been big on sending cards but I do love looking through the ones my mom has saved over the years. It’s really nice when you do receive a card! I send out a few, but that’s it, I’m one of the guilty ones. It seems that it’s just so much busier that it used to be. I was just discussing this with my sister and we agree that it’s almost worse when you get one of those ‘form’ letters from people….It just seems so impersonal….. especially from close relatives. With the technology of today many ways of communication are disappearing. I always enjoyed giving as well as receiving Christmas cards but have to admit I also have cut down on how many I send. Years ago in school we always used past Christmas cards to do art projects and/or made our own gifts or ornaments from them. Times sure have changed. I sill keep receiving christmas cards but I give them personally, so sad that because of the high tech they just simply text or greet them using the phone, too impersonal for me. Christmas Cards were always an important tradition for my Christmas & I still use them today! I hope everyone, including the Fuji guys, had a very merry Christmas this year!!! that is so true, growing up (im 29 now) we use to get christmas cards in the mail all the time and collect them. We would make a tree on the wall out of our christmas cards, but these days we do not get many, this year we got 3 and that was it. I always hated having to sign 200 cards at work along with 20+ co-workers when I knew there never was time for us to look at the ones we received in the office. I love sending and receiving Christmas Cards. I cheat on postage somewhat by including them in parcels to loved ones and delivering those close to home the same way. This saves on about half of them. These cards and warm messages cheer us up and keep in touch. I send fewer cards each year but do send to far away friends and love receiving cards. I love to send and receive cards. I too sent cards out every year and haven’t received many in the last five years. Sadly this seems to be a the way this is going. I try to hand deliver my Christmas cards whenever possible. I love getting christmas cards in the mail. However I am not always great at getting mine out in the mail ontime. I enjoy this blog, and I hate computers ruining centuries worth of personal handwriting. I want to continue the tradition of sending Christmas cards. I noticed this year that we got cards from all our nieces and nephews which was sweet! It is a wonderful tradition and the holidays would not be the sane without it. We make Christmas cards every year. It’s fun, and a good way to show off creativity. With the expense of postage,I have greatly reduced my list.That said.I still love to give and receive them. I loved receiving Christmas cards but haven’t received a lot over the years, so I stopped sending them out as well. I did find a pack of unused Christmas cards this year so I took the time to send them out! It felt nice to know that it would be a nice simple surprise in the mail for those recipients! I think it’s quite lovely to open up my mailbox to find a card someone has taken the time to thoughtfully send. It’s special & touching and I wish that more people would send them!